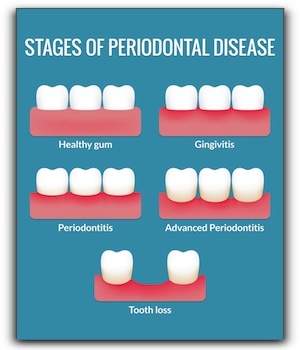 Periodontal disease is not as common as it once was, but it is still more common than you might think. At Wesley P. Yemoto DDS in San Jose, we see patients with gum disease more often than we like. Gum disease is a serious matter, but the thing to remember is that most cases are treatable, especially if it is diagnosed early enough. Dr. WEsley Yemoto DDS in San Jose provides gum disease treatment, as well as general and restorative dentistry. Welcome to Dr. Wesley Yemoto, DDS dental blog. 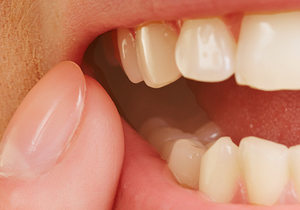 Today, we’re taking a brief look at periodontal disease. Swollen and painful gums are symptoms of inflammatory gum disease. Swelling occurs from an auto-immune response of the body reacting to an infection. Symptoms include pain, redness, and warmth. If the infection is left untreated, bone near the teeth may be affected. The body’s immune system wants to rid the bone of the dangerous material the bacteria is creating. Over time, bone loss occurs. Inflammation in the gums also is associated with atherosclerosis, the occurrence of fatty deposits inside of the body’s arteries. It coincides with an increase of the blood protein CRP (C-reactive protein), produced by the liver. The more swelling there is, the more the liver produces CRP, which contributes to a higher risk of cardiovascular disease and similar issues. CRP production is also related to arthritis, auto-immune disorders, and intestinal issues. Scientists are currently looking into the relationship between periodontal inflammation and CRP level and the effects outside of the oral cavity. They’ve established links between periodontal disease and pancreatic cancer, heart disease, and stroke. 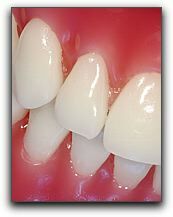 If inflammation is left untreated, gums can develop pockets that provide the perfect breeding ground for infection. The longer the infection persists, the more likely bone loss will arise, eventually causing tooth loss. It is vital to practice preventive dental care daily at home and visit your dentist regularly. Dental appointments should include an exam, cleaning, and full mouth x-rays, along with the important knowledge and instruction on how to properly care for teeth and gums at home. Call Dr. Yemoto promptly if a tooth suddenly becomes sensitive or you observe any other changes. Thanks for visiting our blog. For more details about inflammation or periodontal disease, give us a call at 408-266-9957.